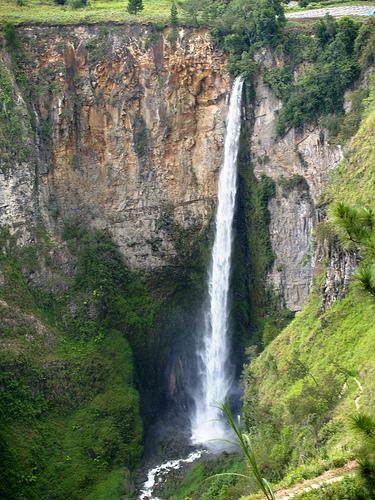 Sipiso-piso Waterfall is a natural tourism area which is located not far from the village community settlements Tongging Sub-Brand, Karo, North Sumatra Province. Can say, visiting this village is no different from a trip to Niagara-piso Sipiso. Geographically, the village on the plains Tongging lower, while Sipiso-piso Waterfall is located in the hills higher than Tongging Village. This waterfall is located at an altitude of approximately 800 meters above sea level (asl) and is surrounded by green hills covered with pine forests since. 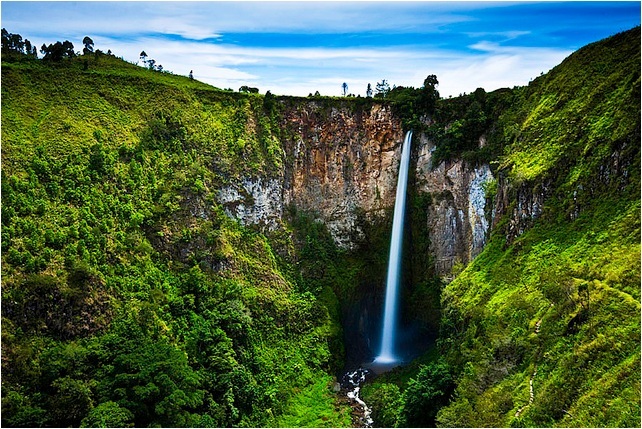 Name of the waterfall that is managed by the Government of Karo Regency has specific meaning. As mentioned in the New Indonesia daily news voice, that Sipiso-piso piso meaning comes from the blade. The swift waters which fall from the hill above the one hundred meter altitude is diperumpamakan like-bladed sharp knife. In addition, a steep cliff when viewed from the top of the hill make a local call from Tanah Karo piso. 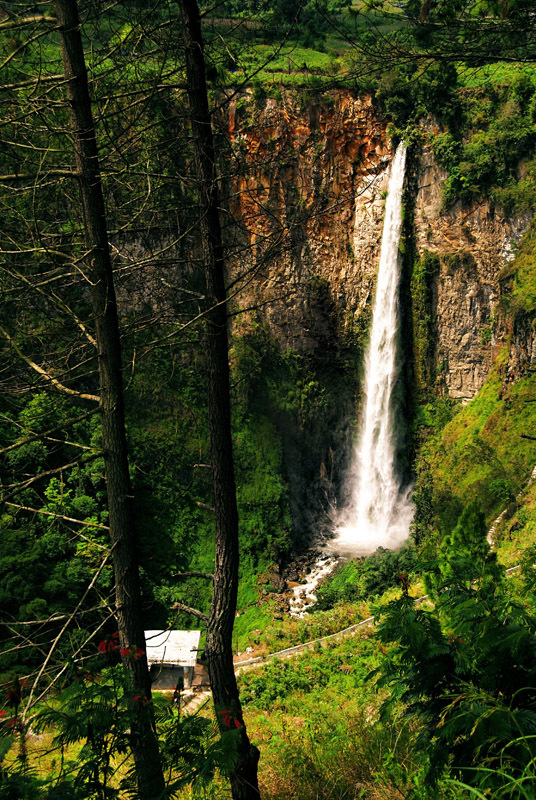 During its development, attraction in Tanah Karo began to be developed and promoted to other regions, including Sipiso-piso waterfall itself. Though as there is competition among the attractions, this remains a positive value for each object to be encouraged to grow and be able to attract as much as possible. For example, in the village of Tongging has recently been established Faith Park (TWI). Nevertheless, the TWI is said to absorb the attention of more tourists to come, charm-piso Sipiso still will not be replaced. How not, this waterfall is but one of the highest waterfalls in the many waterfalls in Indonesia, such as Niagara Tinoor in Tomohon, North Sulawesi Province or Grojogan Sewu, in Central Java province. Of all that, Sipiso-piso remain special. Separated by only a distance of 35 km from the famous tourist city in Indonesia, the City Berastagi, Karo District, and only requires about 45 minutes from the city of Medan, North Sumatra province capital, Sipiso-piso Waterfall proved capable of Karo's reputation as one of the goals domestic and foreign travelers. Tonggo Simanungsong, a lover of travel, said that many foreign tourists who visit Sipiso-piso Waterfall originated from Malaysia, Singapore, France, and Holland. For local tourists, panorama in Tongging is already very well known, some say even this news has got to santero world for its natural beauty is stunning.